Are you looking to super charge your business? Did you know that you can start a legitimate business with little or no money? Dr. Mary E. Waters is an author, speaker, business consultant. She is the author of “Easy Business for Women with Little or No Money.” She strives on helping people to start their own business with little or no money. For many years, she has been helping people make their dreams of becoming a successful business owner come true! Dr. Waters has utilized the business techniques, skills and spiritual advice of many training experts such as Napoleon Hill, Dale Carnegie, Dani Johnson, Les Brown, Anthony Robbins, Tom Peters, Oprah Winfrey, Maya Angelo, Ophelia DeVore, Precola DeVore, and her church. Dr. Waters believes that you should "Love yourself and know that you are loved. Regardless of the situation, you are more than anyone’s opinion of you." 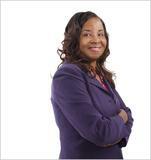 Sign up for Dr. Mary E. Waters’ "Easy Business" bi-monthly ezine. It has many tips and techniques to help make your dream of becoming a successful business owner to become a reality. Plus, each month one lucky subscriber receives a free 30 minute on demand business consulting session! Sign up for FREE online Self Publishing Guide, mini courses, tips, and more.